I am eternally grateful to the Singapore Government and Singapore Airlines for being so good to us the pioneer generation. 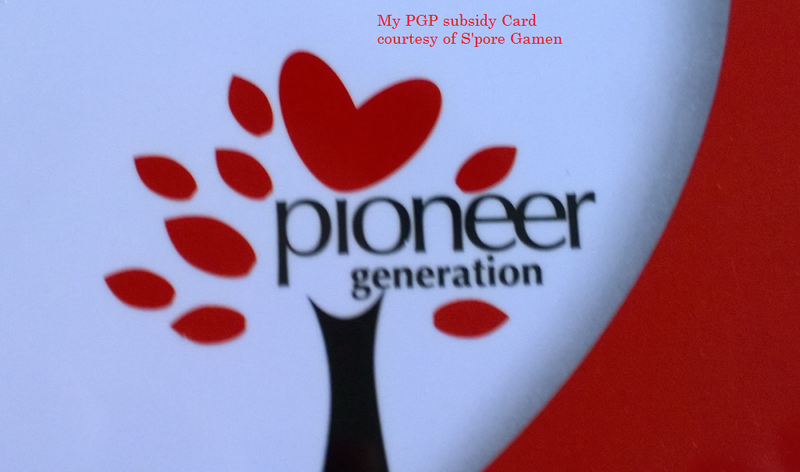 From the S'pore Government we are given the Pioneer Generation Card which we may used to get subsidy from dental and health care from 1 September this year onwards. Of course my wish is that I do not have to resort to flashing my card at the health and dental clinics. I hope to be healthy both physically,mentally and "dentally" too. From SIA, we (my colleagues & I) were given 25 months salary and other benefits when we left the company. Why are they so kind to us huh? If I am younger man today, I will gladly volunteer to be in the Army,Air Force or Navy to defend and serve my beloved country, S'pore. As for SIA, I will from time to time advertise and tell the world what a great airline it was...oops I mean it in the present tense too... " what a great airline it is".